Hello and thank you for taking the time to view this page. My name is Alejandro Heredia I am 25, Father of 2, and I am an aspiring artist, in 2007 I designed a shoe for the Nike FutureSole Competition now called the Air Jordan "Diviniti" My goal is to create a sample to take to Beaverton, OR by the end of next year and present a business plan to them and hopefully make this a reality. Your donation helps me come up with the money for both the sample to be made and the trip to Beaverton. 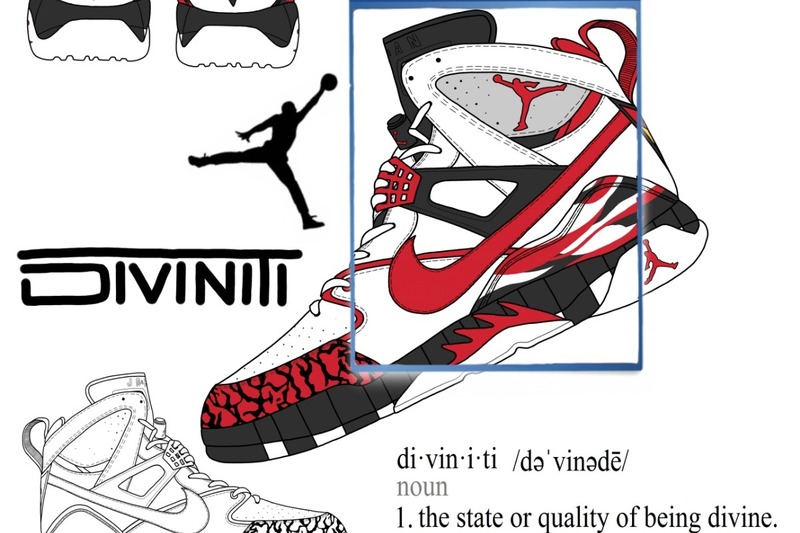 Every little bit helps and to the people who donate will receive a 11x17 Poster showcasing the shoe and design elements, 3 different buttons pins, and 3 stickers also with the "Air Jordan Diviniti" Artwork. Thank you and have a wonderful day, again I cannot tell you guys how eternally grateful I am.